We reported earlier this week regarding the slowest of O2 updating the Lumia WindowsPhones to Denim. Now O2 have released details that the Lumia 520, 620, 625, 720 and 1320, which is good news, is that O2 UK has revealed some more information on the roll-out of Lumia Denim to their customers. 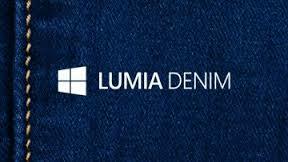 Their social media team has revealed that after testing they have approved Lumia Denim for the Nokia Lumia 520, 620, 625, 720 and 1320. This means the update has now been sent back to Microsoft to be pushed out to customers, and O2 hopes it be delivered before the end of the month. We understand the frustration if you have a handset other than the 5 mentioned above, but we assure you we’ll work as best we can to test and approve other Denim updates as and when they reach us – that is to confirm that we have not yet received updates for any other Lumia (other than those above) to test. Again, i’ll keep you updated as and when we receive other updates for testing.